The complete top 50 of programming languages is listed below. 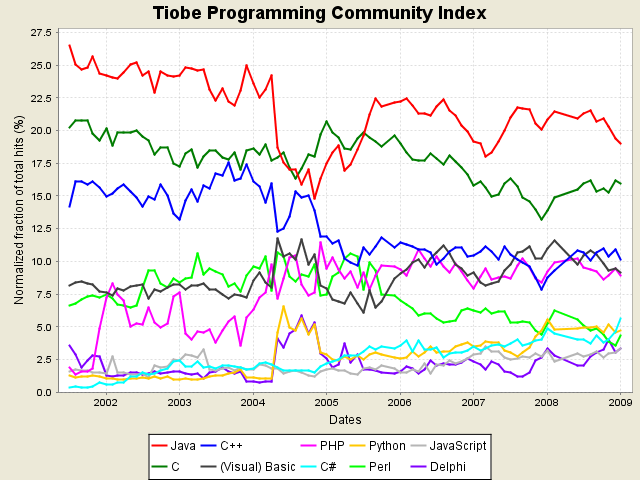 The object-oriented paradigm is at an all time high with 57.6%. 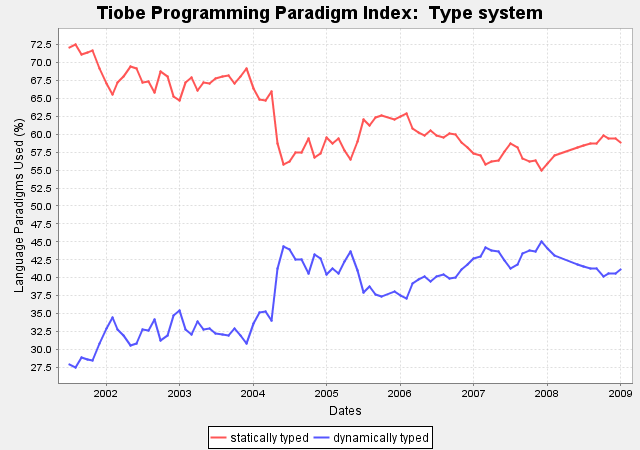 The popularity of dynamically typed languages seems to be stabilizing (see trend diagram below). Well many people are criticizing their rankings and algorithm used to calculate rankings so its up to you to believe. Feel free to post your comments and your 2 cents of their ranking system. Do you think its proper or its based on assumptions?